53. At any time since you turned age 13, were both your parents deceased, were you in foster care or were you a dependent or ward of the court? See Notes page 10. If you are a Ward of the Court, you are considered to be under the protective custody of the local State government. Wards of the Court may be assigned a legal guardian, but not necessarily someone of theirs or their parent(s)’ choosing. 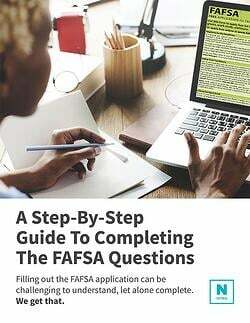 Wards of the Court are considered to be “independent” students and as such, are not expected to provide ay parental (or legal guardian) financial information on the FAFSA. You will be prompted to move along in the application.